Pioneers in the industry, we offer industrial humidification systems, central air cooling plant, heavy duty cooler, tube air under testing machine, air ventilation and air exhaust system and air cooling unit from India. Backed by a team of highly experienced professionals, we are the manufacturer in offering a wide array of Industrial Humidification Systems. 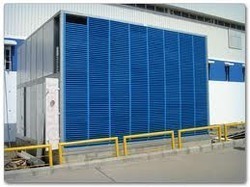 Our given humidification plants are developed in fulfillment with set market standards using high quality material. 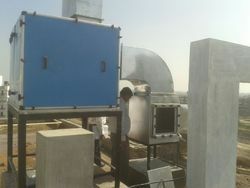 The humidification plants provided by us are accessible on varied specifications as per the needs of customers. These Industrial humidification systems are inspected on numerous quality parameters by our quality controllers for delivering flawless range. 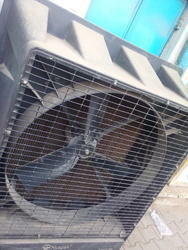 With our rich industry experience in this domain, we are introducing a comprehensive assortment of Air Cooling Unit. Our given product is perfectly tested on assorted parameters to ensure its flawlessness. This product is developed from best in class components under the observation of skilled professionals keeping in mind quality norms. Customers can avail this product at industry leading price in a stipulated time frame.